The fourth conference to promote Vietnamese literature, the third International Poetry Festival and the 17th Vietnamese Poetry Day will take place from February 15-21 in Hanoi, the northern provinces of Quang Ninh and Bac Giang. The information was revealed by poet Tran Dang Khoa, Vice Chairman of the Vietnam Writers’ Association, on February 13 in Hanoi. The three events are expected to attract more than 200 foreign poets, writers, publishers and cultural researchers from 50 countries worldwide, Khoa said. On February 16 (the 12th day of the first lunar month), the fourth conference to promote Vietnamese literature will be held in Hanoi, featuring a seminar on the development of the world literature. It also aims to promote Vietnamese literature to international friends. On the same day, international and Vietnamese poets will have an exchange with students from the Hanoi University of Culture and the Hanoi National University of Education. On February 17, the 17th Vietnamese Poetry Day, themed “Mountain and River on Shoulders,” will open at the Temple of Literature in Hanoi. It includes two poetry nights which will gather hundreds of Vietnamese and foreign poets. The day after, the delegates will visit Ha Long Bay in Quang Ninh province and attend an international poetry night in Ha Long city. 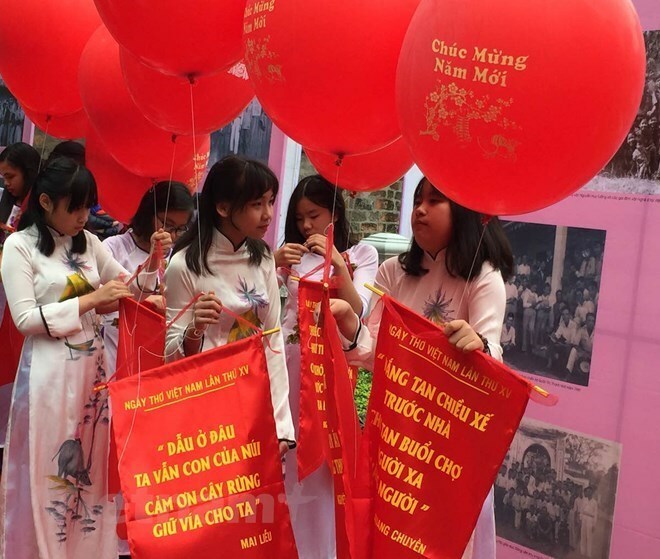 On February 19 (the fifth day of the first lunar month), Vietnamese and international poets, poetry lovers and art troupes will join the opening ceremony of the 17th Vietnamese Poetry Day, themed “Kinh Bac People”, in Xuong Giang Citadel in Bac Giang city. The closing ceremony of the three events will take place in the capital city on February 20.